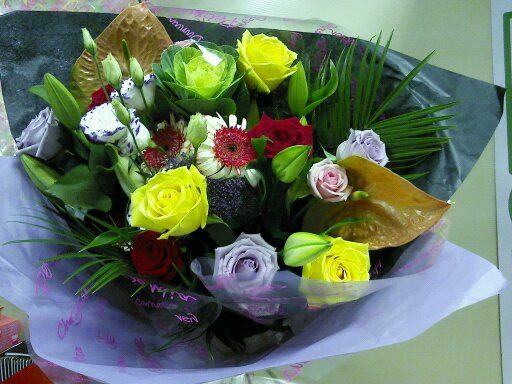 Luxury flower bouquet to really make an impression. Includes a good mixture of flowers including Roses, Lillies, erberas, Lysianthis and other flowers and foliage. Luxury flower bouquet of fresh cut flowers. Ideal gift for a birthday, retirement, anniversary or simply to say thank you. All flowers comes with a hand written card for that extra special touch. Everyone loves to receive flowers as a gift and this would be great for someone who likes to arrange flowers themselves.